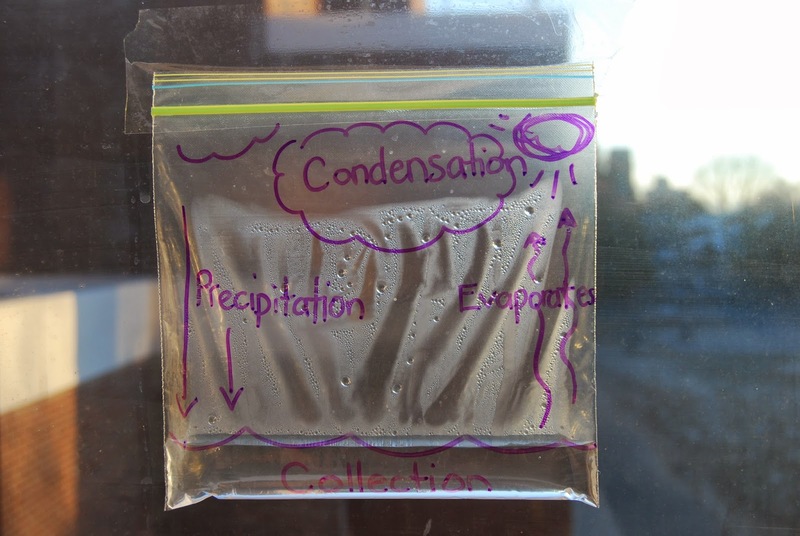 Ask your child if they can tell you about the water cycle -- they should be able to tell you about Precipitation, Collection, Evaporation and Condensation! We even made our own Water Cycle in a Bag! It is taped onto our classroom window so we can see the cycle in progress. *** This post originally posted in November -- then mysteriously disappeared. Some of my December posts also disappeared, but I managed to re-do many of them.